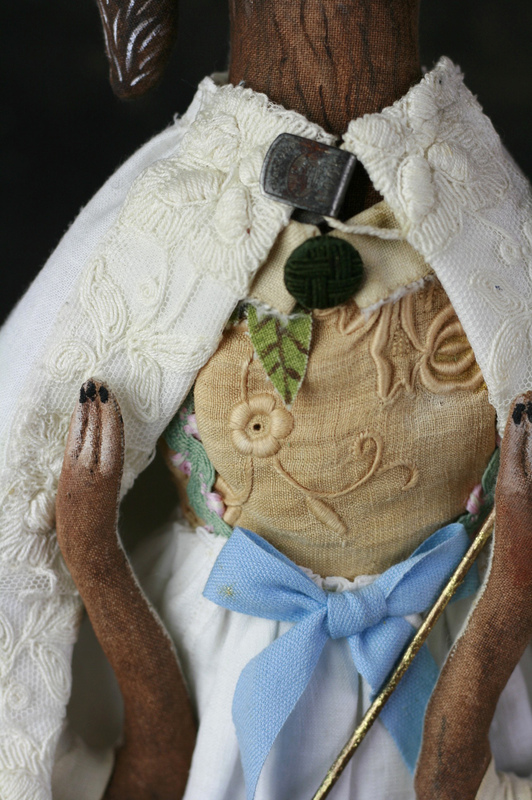 Wyllow is a textile art doll and is hand painted. 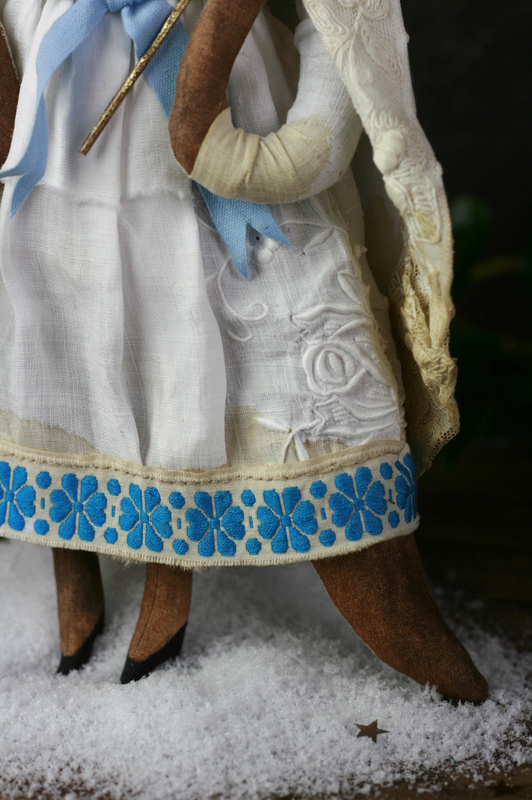 She wears a dress and cape which I made with vintage fabrics and gorgeous blue embroidered trimming from Russia. A big blue bow is tied around her waist. The cape can be removed and is closed with an antique metal hook. 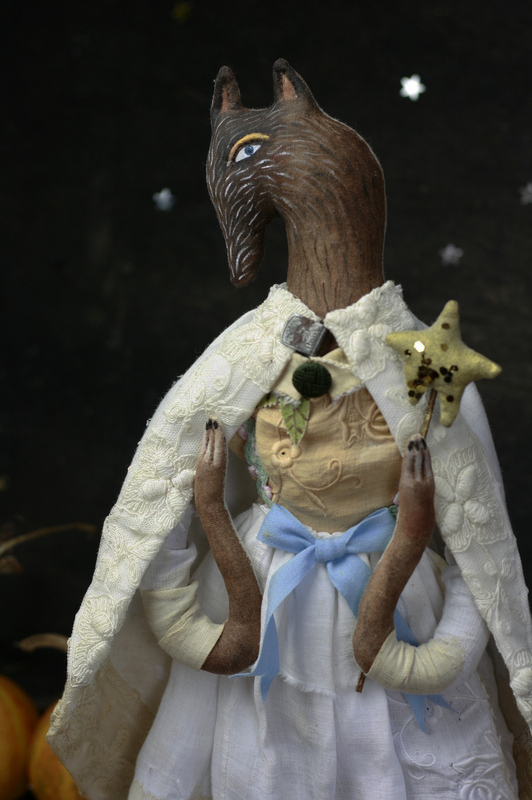 Wyllow is on her way to the Christmas Party hosted by Annabel Snow in the ever-white Winter Woods. because she brings her magic wand of the Golden Star, with which she will perform her magic at the party. which is of course particularly nice on a crisp and dark night in December! This doll can stand when supported or hang from a hook on her back.